Have you been injured and Uber, Lyft or another Ride Share company was involved? Whether you were an Uber / Lyft driver, passenger, other vehicle or pedestrian The Glorioso Law Firm is experienced in handling these cases. As Co-Chair of the American Association for Justice’s National Ride Share Litigation Group, our attorney, Maria Glorioso has access to all the latest information about these cases. She also attends meetings all over the country about the latest tricks of the trade and helps educate attorneys across the globe about these issues. 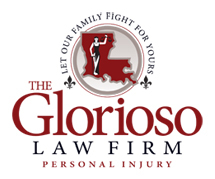 The Glorioso Law Firm knows all the ins and outs of determining whose insurance policy must pay for your damages and what the law requires their insurance coverage amounts to be. 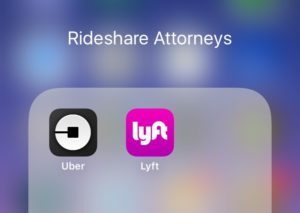 Did you know State law requires Uber / Lyft to provide different amounts of insurance coverage depending on what “phase” of the trip the driver was in? These laws cover Uber / Lyft drivers, passengers, pedestrians and people in other vehicles. 1. Offline phase: The driver was not logged onto the app. 2. Online or pre-trip phase: The driver is logged onto the app but has not accepted a rider’s request/pre-arranged ride. 3. On-trip or pre-arranged ride phase: The driver has accepted a ride request through the app. This phase continues through transporting the riders and until the rider departs from the vehicle. Uber / Lyft cases in Louisiana can be tricky, much like our roads. The Glorioso Law Firm is experienced in knowing where the pot holes are and successfully navigating around them and finding the maximum amount of insurance coverage available. If you have been injured in an accident involving a ride share driver, please contact The Glorioso Law Firm for a free case evaluation.